The Lake Placid Land Conservancy plans to create a community forest preserve on approximately 100 acres of land it acquried on April 19, 2017 in the Town of Wilmington, New York. The presereve will include two miles of recreational trails open to the public. The Open Space Institute (OSI) awarded Lake Placid Land Conservancy (LPLC) a capital grant in the amount of $50,000 to support LPLC’s acquisition of the community forest preserve. The OSI grant funding will be applied toward land that was purchased by LPLC. The purchased land will be combined with adjacent land that was donated by Wilmington resident Scott Avery to create the preserve. In addition to the OSI grant and land donation from Avery, LPLC also received a $25,000 donation from an anonymous donor who wished to support LPLC’s efforts to conserve lowland forest habitat and enhance recreational opportunities in the Wilmington area. The property is in the southern portion of the Black Brook Forest, which is classified by the New York Natural Heritage Program as rare, sandy pine forest. 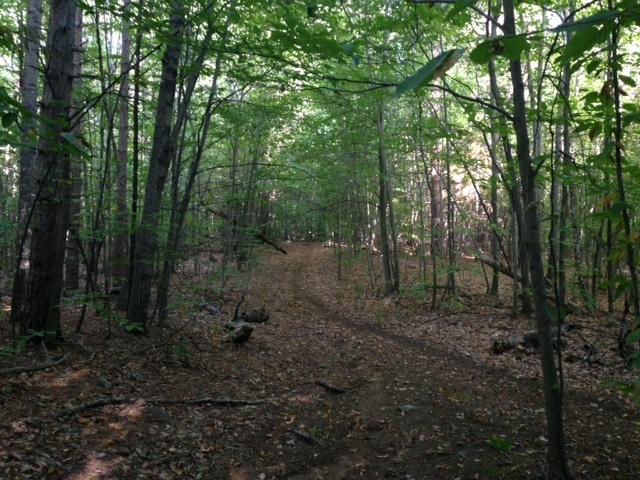 In addition to conserving rare habitat, the trails will provide a critical connection between the Hamlet of Wilmington and the existing public land and trails on the Beaver Brook tract of the Wilmington Wild Forest located on Hardy Road. Barkeater Trails Alliance (BETA) has agreed to develop and maintain trails on the property. 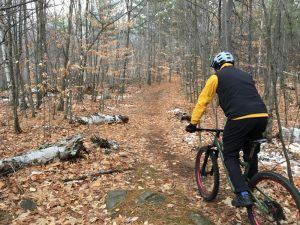 BETA is a non-profit organization dedicated to developing, maintaining and advocating for a diverse, sustainable and interconnected system of trails for ski touring and mountain biking in the greater Adirondack High Peaks Region. “The recently approved trail plan for the Wilmington Wild Forest prioritized improved connections between the hamlet and the trail systems at the Flume and Marble Mountain. This community preserve will further that vision by allowing for a public connection between Wilmington and the popular trail system at Hardy Road. Connectivity between trail networks is the thing that turns ‘good’ biking destinations into the ‘best’,” says Josh Wilson, Executive Director of BETA. Wilmington Wild Forest consists a several non-contiguous forest preserve parcels totaling 13,231 acres that are within a ten-mile radius of the hamlet of Wilmington, NY. LPLC sees the project as a way to support ecotourism for the Town of Wilmington by significantly enhancing mountain biking opportunities between the Beaver Brook tract, the hamlet of Wilmington and the Whiteface/ Marble Mountain tract. The Open Space Institute protects scenic, natural and historic landscapes to provide public enjoyment, conserve habitat and working lands and sustain communities. Founded in 1974 to protect significant landscapes in New York State, OSI has been a partner in the protection of nearly 2.2 million acres in North America. A leader in environmental conservation, OSI leverages its knowledge and attracts resources for strategic investments to make innovative land conservation happen. Visit OSI online at www.openspaceinstitute.org.